There is so much to be said about Srimati Yamuna-devi dasi. In October of 1970 I was one of a group of Srila Prabhupada’s disciples from America going to join him in India. On the way, we stopped in Brussels, and it was there, in an apartment, that I first met Yamuna-devi—and Malati and Syamasundara (I had met Gurudas before that, in Boston). Upon entering, I could immediately feel their intense, extraordinary devotion to Srila Prabhupada—it was so palpable, so tangible; the room was just suffused with their devotion—and we spent the next several hours there together. As enthusiastic as I was to go to India to be with Srila Prabhupada, I felt like I could stay there forever; I never wanted to leave the association of these amazing devotees who were so attached to Srila Prabhupada and so capable of serving him in such different ways. Gurudas had arranged a cheap flight on a small airline, and so, that evening we boarded an old converted dual-propeller cargo plane, bound for Bombay with a stop in Cairo. In my mood of Krishna consciousness then I was quite oblivious to things around me. I wanted to avoid maya—anything that could distract me from Krishna—and didn’t pay much heed to anything that didn’t relate directly to my service. I was focused on the idea of chanting and hearing every word of the Hare Krishna mantra distinctly, on always thinking about Krishna and never forgetting Him. And I had heard that Srila Prabhupada had said that if you have trouble hearing you should chant loudly. And sometimes, to really get into the holy names—and to break out of any possible lethargy—I would jump up and down. One or two of the devotees told me that they were anxious about how people in Egypt might react to my chanting, but I was determined. There was unrest there at that time, and when we landed in Cairo we were met on the tarmac by soldiers and armed security guards with bandoliers of bullets around their chests and machine guns over their shoulders. And as we deplaned, walking down the steps, the men were pointing machine guns in our direction. Then Yamuna, as I was later told, saw the guards suddenly move their guns up and down, shifting their aim. And when she turned around to see why, she saw me behind her, walking down the stairs chanting japa, jumping up and down. Anyway, we escaped Egypt and flew to Bombay, where, as arranged by Srila Prabhupada, we were taken to Kailash Seksaria’s house. There I went through a period of confusion—some things were very difficult for me to understand and cope with—and I wasn’t sure what to do. I was a relatively new devotee, at least compared with the others in the group, and somehow I just got the inspiration to go to Yamuna and Gurudas for help. What they told me was extraordinary, and for me, revolutionary. 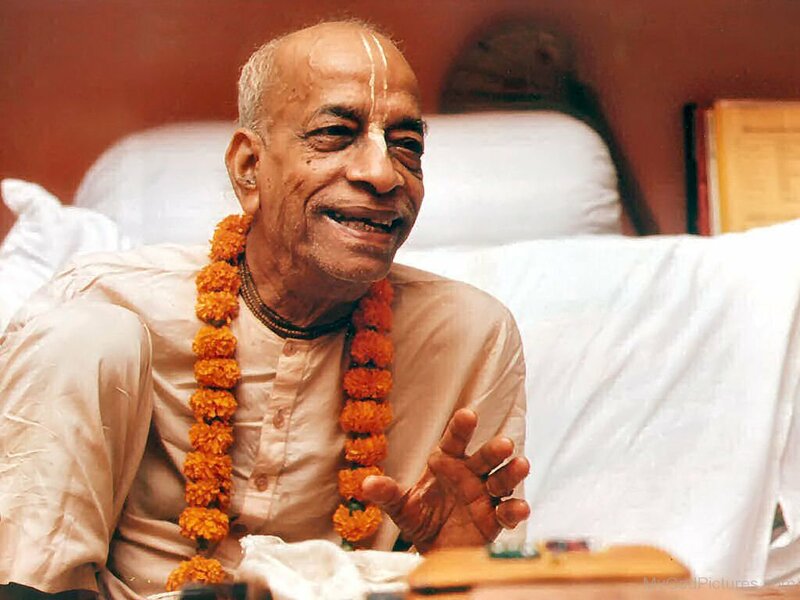 I entered their room feeling completely at a loss, but they turned the whole thing around, saying that Srila Prabhupada had sent me to engage them in thinking about him and about topics of deep significance. They turned the whole thing completely around, and I believe they were completely genuine in the way they took it and in what they said. And that was the beginning of what proved to be a very close relationship with them both. While we were staying at Seksaria Bhavan Srila Prabhupada introduced a new tune for the Gurvastakam prayers in the morning. He tried to teach some of the men, but they couldn’t quite get it. Then he decided to instruct Yamuna-devi, in the presence of us all, and she picked it up right away. Afterward, Srila Prabhupada told Yamuna, “Learn to listen. You cannot follow nicely unless you hear nicely, and you cannot lead nicely unless you have learned to follow nicely.” And gradually the rest of us learned the new melody. In Bombay, Srila Prabhupada was invited to attend the Vedanta Sammelan in Amritsar, and so a party of seven men and two women—Yamuna and Kausalya—traveled there with him by train. The Vedanta Ashram offered us two small rooms and the use of the large common courtyard just outside. Srila Prabhupada occupied one room, Yamuna and Kausalya the other. Srila Prabhupada was very protective of the women, and he would have them ride to programs with him in his car (while the men took rickshaws). He did programs in the morning and evening—and often in between. Kausalya told me that driving to one engagement, he had mentioned that he needed new shoes. “Stop at the next Bata shoe store,” he had said. In the store, he had told Yamuna and Kausalya, “You choose the shoes for me,”and sat down. So they looked all around the store and found some white crisscross plastic sandals that they thought would be just right. Each of them carried one shoe up to Srila Prabhupada, and they slipped them on his feet. He smiled and asked, “Do you like them?” They responded, “Yes.” “Then we will buy them.” And so he did. In the afternoons when there was some free time, Yamuna-devi would chant in the courtyard. It was very cold in Amritsar in November, but it would be a little warmer when the sun came out in the afternoon, and she would sit cross-legged with her back erect and chant Hare Krishna maha-mantra japa continuously with her eyes closed—nonstop. She told me then that when she chanted, her ears and mind and heart opened up to the holy names and that the names would enter and she would just hear the sound. She would be fully absorbed in the sound, not even thinking that she was chanting the holy names or that these were names she was hearing—she was just absorbed in the sound. After Amritsar, Srila Prabhupada and his party traveled by train back to Bombay. On the way, the train stopped at the New Delhi station, and a gentleman, a lawyer named D. D. Gupta who had been corresponding with Prabhupada and had been informed of his stopover, came to meet him. He requested Srila Prabhupada to leave some disciples in Delhi to start the activities there. Prabhupada turned to Gurudas, who was riding in the same compartment, and said, “This man is inviting us. Get down and see what you can do.” Gurudas asked for some devotees, and then he and Srila Prabhupada agreed on a team: Yamuna-devi, Gopala, Bhakta Bruce (now Bhanu Swami), and me. Mr. Gupta arranged for us to stay in two rooms in Old Delhi, near Delhi Gate. The rooms were very basic—just plain concrete with whitewash on the walls—and they abutted the courtyard at the center of the building. We would have to walk around the courtyard to use the simple latrine (though, in urgent cases, we would often have to run!). Mr. Gupta, it turned out, was a peculiar man. He was an advocate, but not a very big one. And he was miserly. He would keep his used, dead batteries in a drawer, in the hopes that they would come back to life. The whole situation was very austere, but it was wonderful being with Gurudas and Yamuna. We were like a family, with Gurudas and Yamuna like our older brother and sister, taking care of us in the absence of our father, Srila Prabhupada. From Indore, Srila Prabhupada and his party traveled to Surat, in Gujarat, where we received an overwhelming reception. In Surat something happened—I actually haven’t thought of it for years. One day I was chanting my rounds on the roof of the house where we all were staying and somehow my mind got fixed on the idea that . . . I had heard that Srila Prabhupada said that if you can deliver just one soul back home, back to Godhead, then your own deliverance is assured. Somehow I thought of my girlfriend from before I joined, and I considered, “Maybe I should have her come and join me, and I will make her a pure devotee, and then I’ll go back to Godhead.” It all made perfect sense to me, but I thought I had better consult Gurudas and Yamuna. I was very serious, and they questioned me, “Why her in particular? There are so many souls that you could deliver back to Godhead—why her?” Indirectly, they pointed out my attachment for her, and they induced me to abandon that strategy. After Surat, Srila Prabhupada stopped in Bombay, where he met with the few devotees based there. We were all staying at the Sea Palace Hotel, which was pure vegetarian and belonged to Sri Ramchand Chhabria, who knew the devotees from England and was himself vegetarian. While we were there, a new issue of Back to Godhead magazine came, and the first article was Srila Prabhupada’s poem “Markine Bhagavata-dharma,” written when he initially arrived in America, in Boston. We had never seen the poem before; it had never been published. Gurudas, Yamuna, and I got together to look at the magazine, and Yamuna read the poem out loud. It was written in a mood of deep humility and dependence on Krishna. And when she got to the end—“Signed—the most unfortunate, insignificant beggar, A. C. Bhaktivedanta Swami”—she burst into tears. She couldn’t contain herself. From Bombay Srila Prabhupada went to Allahabad for the Ardha-kumbha-mela, and Yamuna-devi and I were there with him. Srila Prabhupada spoke on the story of Ajamila and the holy name from the Sixth Canto of Srimad-Bhagavatam. Only the first two cantos had yet been translated and published, so Prabhupada read from his Sanskrit Bhagavatam with commentaries, sometimes translating from Sridhara Swami’s and occasionally from Jiva Gosvami’s. While there, I heard that Srila Prabhupada had said that he was speaking for Yamuna. And in April 2007, when Yamuna visited me in Carpinteria, I asked her about it. And she told me something that etched an indelible impression on my heart. As she explained, she always thought that she had as much right as anyone else to walk or sit close to Srila Prabhupada. And generally when he spoke, she would sit in front of the vyasasana at his feet. She had never really distinguished in terms of etiquette that men should walk closer to Prabhupada, and women further, or that men should sit closer to him, and women further. And the movement had been like that—like a family. In Allahabad, however, one of the sannyasis explained to her that in India the women sat apart and that she should too. About 10:30 the next morning, after she hadn’t sat at the foot of Prabhupada’s vyasasana as usual, Srila Prabhupada noticed her passing by his tent, and he called, “Yamuna, come in here.” She entered and offered her obeisances, and before she got up he said, “So, you don’t want to hear anymore?” Yamuna burst into tears; Prabhupada—hearing from him—was her life. “Where were you this morning?” he asked. Yamuna told him exactly what had happened. Prabhupada was silent. That, as she told me, was a turning point in her life, which changed her whole orientation in Krishna consciousness. She suddenly had the realization that she would not always have Prabhupada’s company. Since 1967, when Srila Prabhupada recovered from his stroke, she had never been able to conceive of ever being separated from him. The devotees were so dependent on him for everything, it was inconceivable to them that he would not be with them. But, she told me, every disciple must come to a personal realization that there will be a time when the spiritual master will not be present. And for her that moment came in Allahabad, after her talks with the sannyasi and then with Srila Prabhupada. Yamuna took Prabhupada’s words as confirmation. She now understood that she needed to go to another place to explore her relationship with him and her service to him in separation. She began to consider the question of vani (words, instructions) and vapuh (body, form), and she got more and more insight into it. As she told me, it is something “unlimitedly deep and profound. You can hear the terms on the surface, but vani means to again be in Prabhupada’s presence”—to be in his presence in separation as much as when you were in his physical association. “So that was a turning point for me, to realize that Prabhupada was going to leave this planet: ‘He is an old man, and he is going to leave, and I have to prepare.’” She took it that from that moment she must start mentally preparing—find a way of continuing in Krishna consciousness that was not based on Srila Prabhupada’s personal association. “So that is that story of hearing,” she continued. “Prabhupada said, ‘I am speaking because you want to hear so much. I am speaking as much because you want to hear so much.’ So he knew that hunger. I never expressed that to him, but he knew.”As Yamuna often said, Srila Prabhupada was completely aware of every disciple in every way—both their internal consciousness and the external manifestations of their service. Vani and vapuh became a major theme in Yamuna-devi’s life—how to maintain one’s connection with Srila Prabhupada through vani to the same degree and with the same intensity as in his physical, even close personal, presence. She was convinced that it was possible, and she arranged her life in such a way as to always receive his guidance and mercy—to always be in his association. Then came the Bombay pandal. Syamasundara Prabhu, who was the temple president, divided the work into different departments, with one devotee in charge of each. (Often, that devotee was the department.) And Yamuna-devi was in charge of the Deities. We had very little money then. Although we were raising funds for the pandal program, we needed it all for the event. And the treasurer, Rsi Kumar, was very tight with the money, which Srila Prabhupada considered a good quality for the treasurer. Sometimes Rsi Kumar would put a sign on his office door: “Closed for three days.” So, Yamuna-devi was charged with raising the funds for the Deities. That was the year we got big marble ones. In the pandal we had small brass Deities, and on the last day of the program there was to be a procession from the pandal, at Cross Maidan, to Chowpatty, where there was to be a program at the beach, at which Sri Sri Radha-Rasabihari would be revealed for the first time to the people of Bombay. And she just couldn’t raise the money. One day while she was out endeavoring to raise funds for the Deities, Yamuna became so disappointed and distraught that she just sat down on the sidewalk and wept. A black limousine, with a pious, distinguished-looking gentleman in the back seat, stopped on the road before her, and he got out of the car and asked her what was the matter. “We’re having a pandal program,” she explained, “and I’m in charge of the Deities’ outfits and decorations, and I have to raise the money, but no one is giving, and we’re running out of time.” “Don’t worry,” he replied. “I am the chairman of two of the biggest temple trusts in Bombay. How much do you need?” “Two thousand five hundred rupees,” she replied—which was really a lot back then. “Don’t worry,” he said. “Just come with me to my office, and I’ll give you a check for the whole amount.” She was that sincere and dedicated. From Bombay, Srila Prabhupada sent Tamal Krishna and me to Calcutta to arrange a similar pandal program, and eventually Yamuna-devi also came, and soon she was engaged in the service of the Deities there, Sri Sri Radha-Govinda. Every morning we would look forward to the darsana (viewing) of the Deities. The worship was so beautiful—so devotional. These instructions have been guiding me ever since. And it was Yamuna-devi who advised me to go and ask Prabhupada directly. After Calcutta was the Delhi pandal. Again Yamuna-devi arranged beautiful Deity worship, for Sri Sri Radha-Gokulananda, who later went to Bhaktivedanta Manor in England. The darsanas were spectacular. But after the program she was very sick. She was staying in the same, large house as Srila Prabhupada, and he noticed that she was missing. He inquired and found out that she was sick. She was resting in a small room—like a closet. Because she was sick, she had to have her own room, and that was what the devotees could offer. Srila Prabhupada went to visit her and found that no one was really taking care of her, and he became concerned and assigned a devotee to care for her. It was cold, and I think he gave her his own room heater—perhaps the only one. And he said that we have to take care of our devotees when they fall ill.
After the Delhi pandal, I went to Madras, while the rest of the party went to Vrindavan with Srila Prabhupada for the first time. There was one car—an Ambassador—with Srila Prabhupada and some men, and a bus with the rest of the devotees. Prabhupada was in the car, and he noticed Yamuna climbing into the bus. He said, “Wait! Wait!” He called her, knowing that she was very sick, and told the men to get out. Then he had her get in the back seat with Gurudas and one other man—Prabhupada was in the front with the driver—and the other men went on the bus. On another occasion Srila Prabhupada sent Gurudas and Yamuna to meet his godbrother Professor O. B. L. Kapoor. At some stage after Srila Bhaktisiddhanta Sarasvati Thakura left, Professor Kapoor had taken shelter of a babaji as a siksa-guru. Srila Bhaktisiddhanta had vehemently criticized these babajis, and they had very staunchly opposed him. So this was a very peculiar situation, that Professor Kapoor had taken shelter of a babaji who was the type of person who was the object of his spiritual master’s criticism and in turn opposed his spiritual master. But Srila Prabhupada simply said, “That is his weakness”—that’s all. He didn’t consider that this disqualified Dr. Kapoor from helping the movement. Srila Prabhupada had a very broad view of the Krishna consciousness movement and of engaging people in it, and that was demonstrated quite vividly in Vrindavan. Then Srila Prabhupada left us, and things did change. And I didn’t see Gurudas and Yamuna for many years. But then somehow my relationship with Yamuna was revived. She had really been sort of a mentor to me, and decades later she was again. Although so many years had passed, when we met again it was more or less the same—the relationship hadn’t changed, and we shared thoughts about Srila Prabhupada and his service and his mission. She was always very concerned about the mission, that Srila Prabhupada’s legacy should be preserved as it is and not adulterated or compromised. I also saw that she was very absorbed in Krishna consciousness. When I think of the five main processes of devotional service (pancanga-bhakti), she was very strong in all of them. She was very strong in reading and studying. Every morning she would read the Bhagavatam and the teachings of the more recent acaryas—Srila Bhaktisiddhanta Sarasvati Thakura and Srila Bhaktivinoda Thakura—taking special note when they spoke about the holy name. This was a major focus for her, and she would relish reading, especially instructions related to nama-bhajana and to guru-seva. Another thing about Yamuna-devi struck me as amazing. About the time of the first Bombay pandal, when we staying in Akash Ganga, a high-rise apartment building in an affluent part of central Bombay, she would stay back and clean. She would clean the whole place, for hours. And while cleaning, she would sing in a very ecstatic mood. The rest of us were going here and there—for service, of course, but there were incidental benefits: seeing exotic India, meeting all sorts of cultured and interesting people, tasting varieties of delicious prasada—and she was staying back and cleaning. She put her heart into it and would be singing in an ecstatic mood. She explained that Srila Prabhupada would teach each servant about the importance and standards of cleanliness according to the servant’s capacity to understand. And she told me how strictly he had trained her. He had his four-tiered cooker, and if he found a black spot on the bottom of any of the pots, he would really chastise the servant. She would use the word “whipping.” He would chide the servant, “This is not Vaisnava. This is Muslim. [laughter] No Vaisnava will ever leave a black spot on any of the pots in the kitchen.” Prabhupada’s cooker was always to shine like gold. Based on Srila Prabhupada’s instructions, Yamuna developed a whole system for cleaning his quarters in Vrindavan—an elaborate five-step procedure, going from bottom to top and top to bottom. First, she would get the big dirt off the bottom, then she would go up as far as she could reach, dusting, and then she would go back to the bottom, cleaning everything as perfectly as she could. If there was anything wrong, Prabhupada would notice and tell her about it. And keeping the rooms clean in Vrindavan was very hard: with the simmering sands of Ramana-reti and the whole place being a construction zone, there was always dirt and corrosion—everywhere. The walls of Prabhupada’s rooms were pale yellow, and the floors were black stone. The floors were covered with rugs, and the rugs were covered with white sheets. If Srila Prabhupada had had the time, Yamuna-devi told me, he would have trained all his disciples in both pancaratriki-vidhi and bhagavata-vidhi, but because he was focused more on bhagavata-vidhi, he mainly trained only his close managers and personal servants, be they men or women, in both. Srila Prabhupada knew the consciousness of his disciples—he knew their capacity—and he would train them according to their capacity to absorb it. When Prabhupada came she didn’t say a word to him, but she got that red wheat berry from Punjab, she had it ground in the morning, and she cooked the chapatis with nima wood. Then she brought the plate in to Prabhupada and put the hot chapati on his plate. He took one bite and said, “This is the red Punjabi wheat berry. You ground it this morning and cooked it with nima wood.” She hadn’t said a word to him—he just knew. “One time when Srila Prabhupada came—I think it was the first time I met Satsvarupa dasa Gosvami; he was Prabhupada’s servant—I was on a bucket stove again, on the floor—no kitchen. I was making Prabhupada’s prasada, and as you may or may not know, when you cook with a bucket stove and you have a little bit of hard coal and then a little bit of soft coal and then a little bit of cow dung, it is a little hard to regulate. There is a certain temperature, and you cannot turn a switch to make it higher or lower. And then, depending on the thickness of the pot, you know what intensity you want. And then there is what you call a thawa, which is an iron griddle, concave, and to make a chapati you keep that on the stove and then you lift it off and you put the chapati on top of the flame. So, I made chapatis for Prabhupada’s lunch. “Then I got up, and he began to wash his hands. By the time he sat down and rolled out a chapati, the thawa was really hot. He rolled out an octopus-like chapati. Now, when you roll out a chapati, the ball bearings for rolling it out is the dusting of flour, and if you roll the chapati in too much flour you actually roll flour into the surface of the flatbread and then even if you try to flap it off, you still have a crust of flour. So you use a minimal amount for the ball bearings and then flap off the little extra. “His octopus was covered with flour on a hot thawa. When he put it on, I said, ‘Maharaja, what should I be looking for?’ [laughter] He said, ‘You wait until there are pimples on the top.’ As soon as the chapati hit the griddle, very hot, the pimples came very fast. He turned the chapati over, and there were little burnt holes. [laughter] So there was no question of it puffing up. Another time, in 1974, one of the devotees based in Vrindavan approached Yamuna and said, “My wife is coming, and she is a very good cook. She wants to cook for Prabhupada.” Yamuna replied, “How wonderful. I will be glad to engage her in Prabhupada’s service.” The new cook arrived after the big Mayapur festival, when almost all the devotees became very ill with dysentery and other maladies. There was really no proper arrangement for them, but Gurudas and Yamuna cared for them like parents. Yamuna was doing the cooking for the devotees there at Fogel Ashram. Under the circumstances, she really didn’t have time to cook for Srila Prabhupada, so she was very happy that the new cook was there. Meanwhile, Yamuna was trying to make arrangements for the devotees’ prasada. She had no facility, she was unable to speak Hindi and communicate with the locals, and the assistant cooks were ready to walk out at any time. She was working practically twenty-four hours. And she didn’t go to see Prabhupada the entire time. When finally she came to Prabhupada’s room, he was about to go out. So she came back the next morning. Yamuna had given the new cook specific instructions. Still, the lady had taken Srila Prabhupada’s cooker and his unclean laundry and stuffed them in a bolster pillowcase meant for his seating area, now black all over the bottom. Yamuna arrived just as the lady was putting the cooker in with the clothes, in the pillowcase. Srila Prabhupada was also standing there, watching the cooker being shoved into the pillowcase. He didn’t say a word—not to the cook, not to Yamuna. Kirtana. Yamuna-devi had a dream. I don’t remember the details, and it is a little delicate, because she was a very private person. Anyway, in this dream, or vision—whatever it was, she took it as very real—she was a sage in the forest and Srila Prabhupada was also in the same forest, and somehow he engaged her in doing kirtana. She felt that from her past life there was a connection with Srila Prabhupada in relation to kirtana. About Srila Prabhupada’s kirtana she said, “Srila Prabhupada’s kirtana had no tinge of being a performance. It was purely for the pleasure of Krishna. It allowed the chanters access to the fact that the Lord’s holy name and the Lord are nondifferent. He said that the key to engaging in kirtana without anartha was hearing and studying our literature, and that gradually it would rise to the platform of pure devotional service. When she and the other devotees were recording with the Beatles, George Harrison was so impressed by her singing that he told her he could make her one of the most famous and celebrated vocalists in the world. But she wasn’t interested. Her singing was meant for another purpose—pure devotional service to please Srila Prabhupada and Sri Sri Radha-Govinda. In her profound humility, she explained, “Srila Prabhupada’s presence in vani and vapuh, or our ability to perceive his presence in his vani and vapuh, depends on our consciousness—whether we are able to perceive a drop of who Prabhupada was. Some devotees who never had Srila Prabhupada’s company, with their laulyam and their greed for it had more of it than I sometimes did while I was in his company, depending on my consciousness. . . .
Inevitably, we come toward the end of Yamuna-devi’s stay with us. I shall read something. After Srila Prabhupada’s disappearance day in 2009, Yamuna-devi wrote me a letter that shows her deep absorption in Srila Prabhupada and in the holy names, and her intimate relationship with Srila Prabhupada. I think that she really did understand Srila Prabhupada and his mission. He gave her a lot of instruction. “Dear Giriraj Swami, Pranama dandavats. Jaya Srila Prabhupada! I wanted to share a few thoughts and reflections on yesterday, Srila Prabhupada’s thirty-second disappearance day. We observed the day first at Radha-Banabehari Mandira with our morning program at Radha-Banabehari Mandira, then at a midday program at Govardhana Academy [the school at Saranagati], introducing the students to the traditional way Srila Prabhupada instructed us to honor this day, and then in the evening at a program with adults in the community, who for convenience regularly meet in the evening for any kind of Vaisnava holy day. “Last night Yadubara showed his preliminary edited footage for DVD Eleven: ‘Srila Prabhupada’s Final Pastimes.’ Though I had seen much of the footage before, it had been without comment, and not arranged in sequence to tell a visual story of Srila Prabhupada’s final days and hours, the moment of his passing, and the aftermath—the Vrindavan parikrama and the samadhi entombment. “One evening, sitting with my back to Srila Prabhupada’s front bucket seat, riding in a van from Tittenhurst [John Lennon’s estate] to a Conway Hall lecture in London, Srila Prabhupada said loud enough for me to hear, ‘When I die, see that my body is taken on a palanquin around Vrindavan on parikrama.’ Stunned, but immediately attentive to these words, I turned around, and on my knees, bent forward from the waist so that my head was even with his shoulder, I said, ‘Why have you told me to do this, Srila Prabhupada? Better that you tell Tamal Krishna. He has more access to seeing that this is done than I do.’ He replied, ‘No, you can tell him.’ He fell silent and said no more. I too fell silent and said no more. 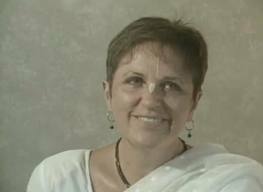 She writes more, expressing appreciation for the devotional mood and service of some of Prabhupada’s disciples who were there—they had “a shared intent to follow Srila Prabhupada’s instructions, glorify his mood, honor his example, and share that with others.” But her letter also expressed her concern about how at a certain point the role of women in the movement had changed. In earlier days . . . of course, she was exceptional—she would lead kirtana before thousands of people, speak before thousands of people, and render personal service to Srila Prabhupada. As she told me, at Tittenhurst she was basically Srila Prabhupada’s personal servant—she and Malati and Janaki. Purusottama would do some of the correspondence, and some of the men would give massage, but basically these ladies were doing the personal service. In the last year there was tremendous concern about Mother Yamuna’s health. At different stages she spoke to me about her condition and options, but then very much towards the end, perhaps in September, she came to a very critical point with regards to her heart. Because of her size and age, the doctors were afraid to perform an invasive procedure, yet if they didn’t, there was every chance she would have heart failure, at any time. For a while she wasn’t sure what to do, but in the end she decided to just return to her home and depend on Krishna. No matter how dire her physical condition was, she was so Krishna conscious. My conversations with her were quite frequent after she went to Bhaktivedanta Hospital. Naturally, I was concerned about her medical condition, and so we would be talking about it, and somehow or other, without my knowing how she got there, she would be talking about Krishna and Srila Prabhupada and the holy name and how wonderful devotees are and how merciful Prabhupada and Krishna are and how grateful she is. Quite the opposite of what I often experience with myself: I begin talking about Krishna and then—I don’t know how it happens—somehow I’m talking about my body. With her, I would bring up her body—how she was doing and if I could help in any way—and without my knowing how, suddenly we were talking about Krishna and Prabhupada and the holy name and the prayers of the acaryas and the wonderful service of the other devotees and just how grateful she was for what she had been given. At about 6:30 in the morning on December 20, Yamuna’s constant companion and spiritual confidante, Dinatarini dasi, found that Yamuna had left. Her hand was in her bead bag, and a slight smile was on her face. She looked completely at peace—even blissful. She had been unafraid of death. She had been confident that she would again be with Prabhupada, or somehow engaged in serving his mission. Such is the destination that awaits anyone who gives his or her life fully to serving Srila Prabhupada, his vani, his vapuh. Yamuna-devi was a beautiful soul, a divine servant of Srila Prabhupada, his mission, and his Lords. She exemplified nama-ruci (taste for the holy name), jiva-daya (mercy for the living entities), and vaisnava-seva (service to the devotees). She was a mentor, guide, and friend to many, including me. We will miss her personal presence. Still, we shall try to serve her in separation by upholding the ideals she held dear. Our utmost gratitude to Your Divine Grace for sharing. It’s now 22 minutes passed midnight. 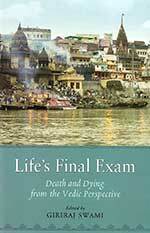 I could not stop reading and I will have to read again and again later to even understand and appreciate a fraction of the deep meaning of Yamuna mataji’s activities and glories. All Glories to Lord N Divine Souls. The blissfull reading made me quieter today.